In need of a classic denim statement piece? The Slimline overall in Black is it. This full length slimline overall features a relaxed tapered leg fit, with simple front bib, and adjustable strap detail. 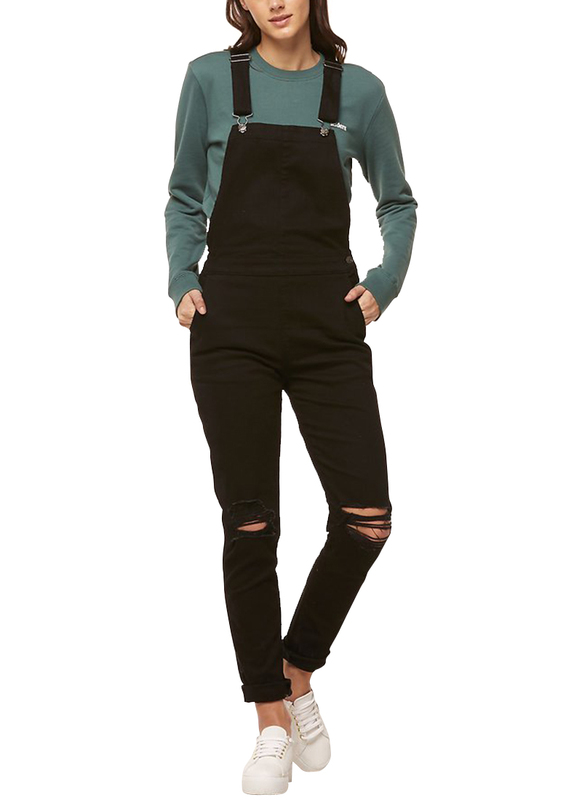 Finished in our classic comfortable and durable classic black stretch fabric in a flat black wash, making these overalls an instant wardobe staple.